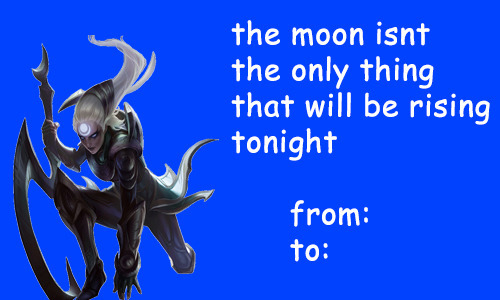 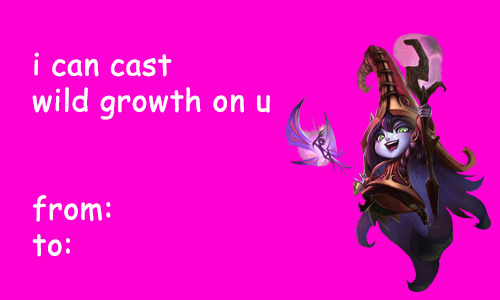 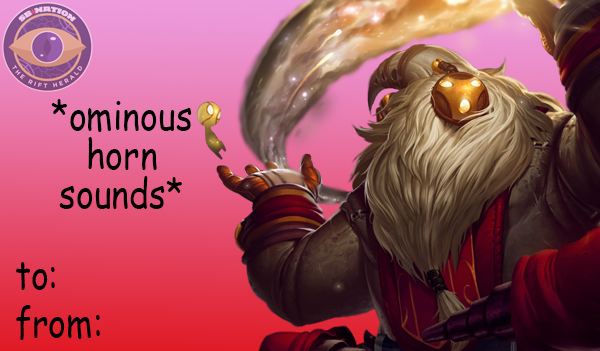 It’s Valentine’s Day, and I’m doing google searches for League of Legends valentines that I can send my boyfriend, but mostly I’m just getting really frustrated because there are so many that I think are hilarious that I CAN’T SEND because there’s no good way to explain why I get the joke. 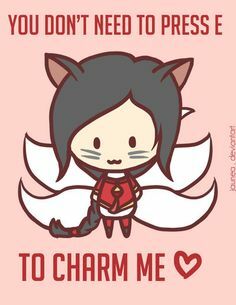 So instead I’m collecting them here so he can see them later and just know that I was thinking of him over 4 months ago. 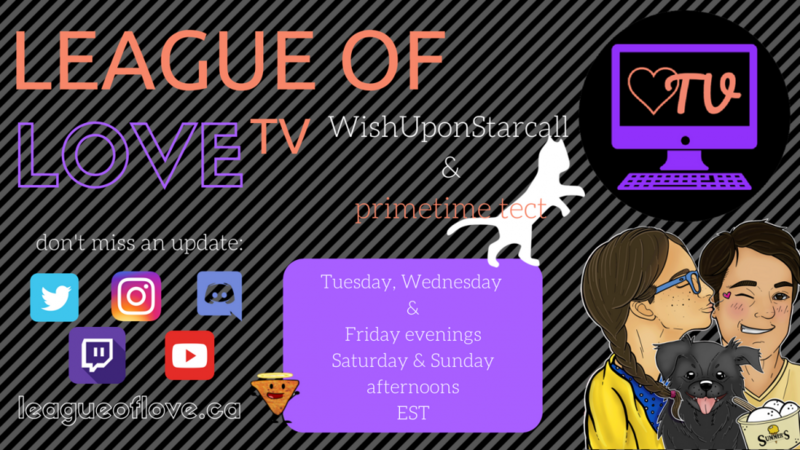 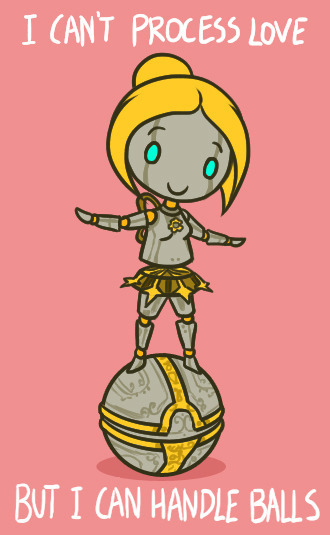 Next Post Day 18 – Runes and Masteries and Items, Oh My!